Our business workshops can be delivered flexibly as 1 hour, half day or full day sessions. We can deliver workshops on your site or at another venue off site. Learn about body language, build a strong confident voice, and learn movement and relaxation skills that can prepare you to tackle difficult situations. Contact us in confidence to discuss your needs. 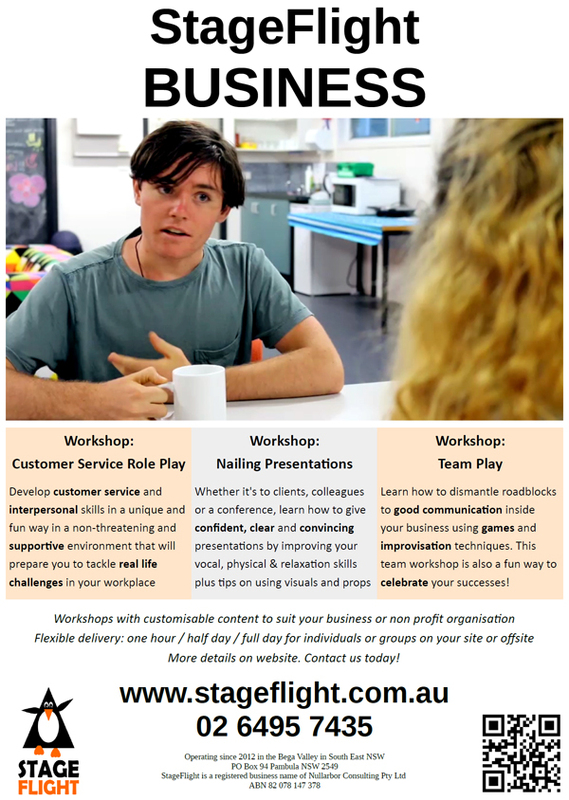 We can customise our workshops to address specific challenges you face in your organisation. Copyright © 2019 StageFlight. All Rights Reserved.